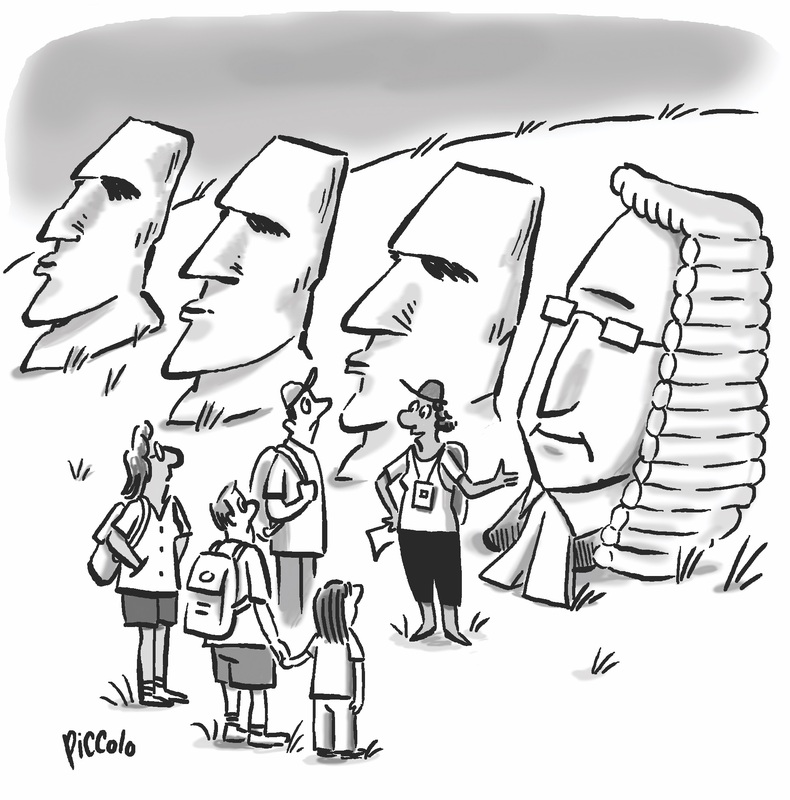 Cartoon Poll: Which monumental caption is set in stone? We had a blast carving through more than 100 entries for this issue’s Easter Island-themed cartoon caption contest. Now we’re between a rock and a hard place trying to figure out which of these three captions should get ahead of the rest. We want your help to determine the winner. The caption that gets the most votes will appear in an upcoming issue of the magazine. Voting period: The poll closes at 11:59 p.m. CT on Sunday, Feb. 24. For complete rules, click this link. To view winning cartoons from last year, check out this gallery or follow the Cartoon Caption Contest RSS feed.